There are many different styles of model rocket available for purchase at toy and hobby stores. If you prefer not to spend a lot of money on your model rocket though, or you simply want the satisfaction of building the rocket on your own, it is possible to manufacture a rocket out of standard PVC pipe. Rockets built using PVC pipe contain a model rocket engine, which allows the rocket to launch just as a store-bought model. Start your model rocket by cutting your PVC pipe down to the size of your choice with a hacksaw. The diameter of the PVC pipe that you need depends on the size of the engine you will be placing in your rocket. If you plan to use a size A through size C engine, you can use ½-inch pipe. A size D engine will require the ¾-inch pipe. Good sizes to cut your PVC pipe are between six and 12 inches. 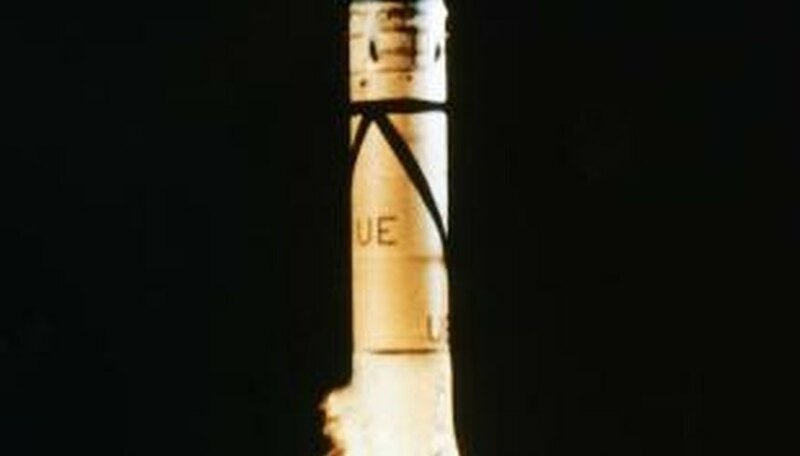 Twelve-inch rockets will be more stable than six-inch rockets, but will not reach as high of an altitude as the shorter rockets. Once you have your pipe cut to size, sand the cut end to smooth out the surface and avoid injuries from sharp edges. Create fins from the cardboard. Heavy-duty cardboard, like the type found in pizza boxes, is ideal for crafting sturdy fins. The fins of your rocket can be cut in any shape, but must be large enough to hold the rocket steady. 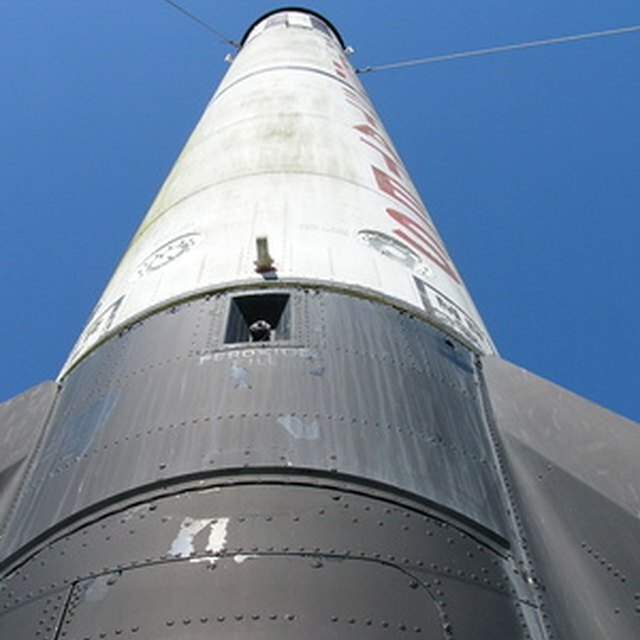 The most effective fins will be at least one-third the length of the rocket body and three times the width of the diameter of the PVC pipe. The first fin can be drawn freehand on the cardboard, cut out, and then used as a guide to create the other rocket fins. Three or four fins will keep your rocket steady. Glue the fins to the base of the PVC pipe at equal distances around the tube. The bottom of the fins should align with the end of the pipe. This will allow your rocket to stand upright when placed on the ground. Insert the rocket engine into the PVC pipe at the end that has the fins. If the engine is too small and doesn’t fit the pipe exactly, wrap tape around the outside of the engine until it is exactly the same size as the interior of the pipe. Adding glue around the engine will secure it in the pipe so that it will not fall out when the rocket discharges. Add a PVC end cap to the top of the rocket assembly to serve as the nose cone. The end cap can be glued on if you don’t want it to fly off during the rocket’s launch. Once the nose cone is in place, the rocket is ready for launch. How Is a Rocket Made? Lawrence, Alexis. "How to Make a Rocket Out of a PVC Pipe." Sciencing, https://sciencing.com/make-rocket-out-pvc-pipe-5371020.html. 24 April 2017.